Short stop in Nha Trang between two night buses to try out diving in Vietnam. The place is famous for its beaches and is a very big touristic location. I had heard good things about the diving there and after more than 2 months without going underwater, I wanted to do some dives. I booked a 3 dives trip with Rainbow Divers for 90$. I would happily recommend them as the equipment was new and top notch and everything was very well organized. 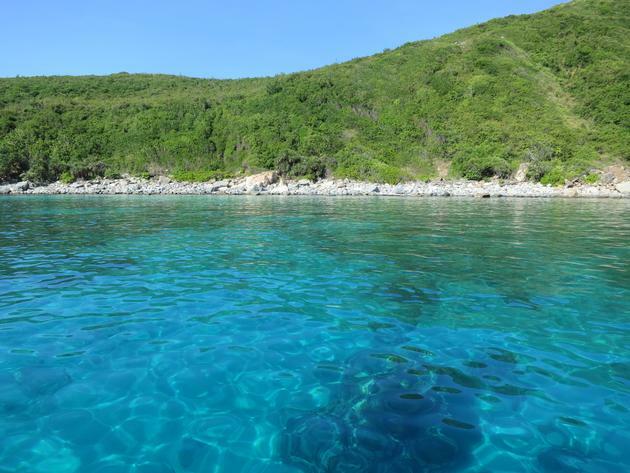 The dive sites were located around the islands facing Nha Trang. The bottom of the sea is mainly sandy which is a contrast with Thailand where huge rock formations are the norm. While the marine life is less crowded and less colorful, I saw some pretty interesting fishes. We encountered a huge jellyfish, at least 50cm wide, which was beautiful to watch. 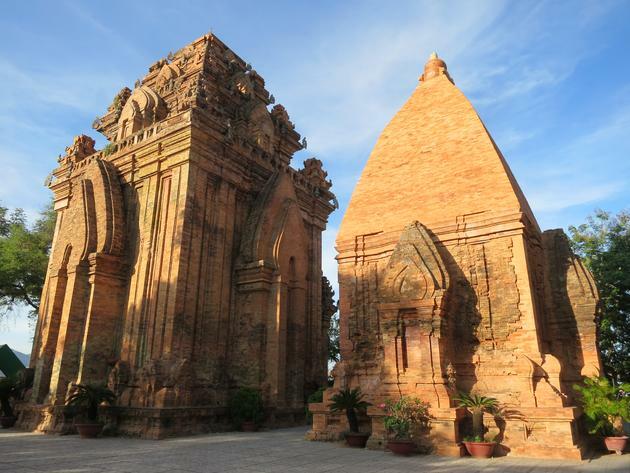 Nha Trang also offers a few sights like the Po Nagar Cham Towers and the Long Son Pagoda but none of them are unmissable. The beach front is very nice and has some nice places to hangout in the evening. All in all, nice two days but it can be avoided if you don’t dive and planning another stop on the coast.